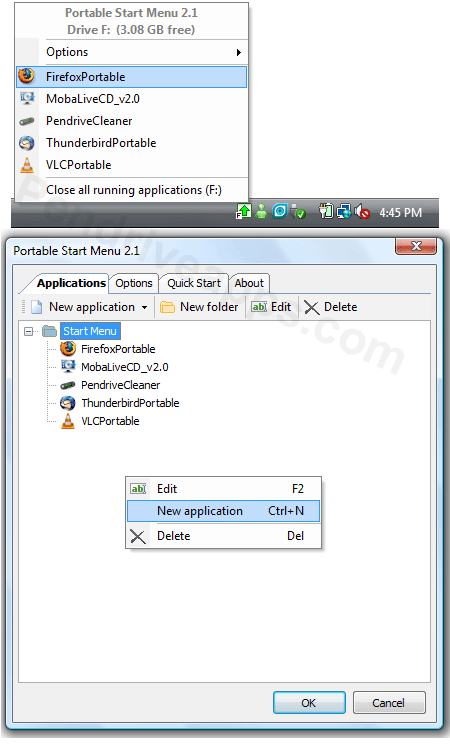 Portable Start Menu is a Free Portable application that can be used to organize all of your portable applications for quick launch via a start tray icon. It works much like the Start Button in Windows with the exception that the Portable Start Menu is only used for launching the preinstalled portable applications from your USB device. A unique feature of the program is that can close all running applications when you choose to exit the Portable Start Menu.